The ConcurrentModificationException comes when you use Map.remove(Object key) to remove a key. Remember, when you remove a key, the mapping itself is removed i.e. both key and value objects are removed from Map and its size reduced by 1. 2. Get the Iterator from this set by calling iterator() method of the Set interface. Here is an example to remove elements from HashMap while iterating. In this example, I have a Map of various Java and Spring certifications and their cost e.g OCAJP (1Z0-808) cost around 248 US Dollars, same is for OCPJP 8 (1Z0-809), while Spring certifications provided by Pivotal e.g. Spring Professional Certification Exam and Spring Web Application Developer Exam cost around 200 USD each (see here). While Iterating over Map, I compare key with the OCMJEA (Oracle Certified Master Java Enterprise Architect) and if the key matches then I remove it from the Map. Here, I have used the remove() method of HashMap, hence this program will throw ConcurrentModfiicationException. You can see the Iterator of HashMap throws java.util.ConcurrentModificationException as soon as you try to remove an entry while iterating over Map because the iterator is fail-fast. If this had been a ConcurentHashMap then it won't throw the ConcurrentModficationExcetpion. Now, let's see the correct way to remove an entry from HashMap while iterating over it. Here is the right way to remove a key or an entry from HashMap in Java while iterating over it. This code uses Iterator and its remove() method to delete a key from HashMap. When you remove a key, the value also gets removed from HashMap i.e. it's a shortcut to remove an entry from HashMap in Java. From the output you can see that the entry associated with "OCMJEA 1Z0-807" key is removed the Map, there were 4 entries before removal and now there are only three entries remaining. Also, there is no ConcurrentModificationException occurs. In Java 8 you can use the map.values().removeAll(Collections.singleton(240)); to remove all key/value pairs where value is 240. 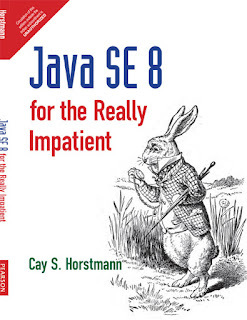 See Java SE 8 for the Impatient to learn more about new methods added into existing interfaces in JDK 8. That's all about how to remove a key or an entry/mapping while iterating over HashMap in Java. You cannot remove an entry while looping over Map but you can remove a key or value while iterating over it. Since Iterator of HashMap is fail-fast it will throw ConcurrentModificationException if you try to remove entry using Map.remove(Object key) method, the right way to remove an entry from the HashMap by using Iterator's remove() method. Thanks for reading this article this far. If you like this tutorial then please share with your friends and colleagues. IF you have any question or feedback then please drop a comment.